This is a political cartoon drawn by the French Honore Daumier depicting King Louis Philippe, the final monarch of France before its revolution, feeding on the labor of the nation’s peasants. Daumier was considered notorious by French rule, and the government attempted, unsuccessfully and eventually desperately, to censor his candidly negative depictions of royalty; the cartoonist survived an assassination attempt in 1835. He eventually moved on to paintings, capturing with realism the life of the lower class. He unfortunately died in 1878, before his painting had a chance to grow popular. There appears to be a lack of musical materials for ballets in the 1830s and 1840s, which is in part due to the dearth of publishing of keyboard reductions of ballets. Contributing to decline in materials may have been the prohibition of gambling in the 1820s, cited by Hansell, which had provided much of the main theatres’ budgets. Certainly also, the upheaval of the Risorgimento effected theatre, especially economically. The revolutions of 1848 caused theatre closures, and the Teatro alla Scala, which normally featured several ballets per season, saw only three ballets performed in carnevale seasons of both 1848 and 1849, and two in 1850. Even Risorgimento events were made into ballets (for example, the ballet Un episodio della Guerra d’ltalia nel 1859: ballo in un prologo e cinque atti, choreographed by Fissi, music by Giaquinto, appeared at San Carlo in 1860). Yet generally, ballets were still being performed at the major theatres at similar rates as in previous years, though Torino, for example, which had seen a growth in the number of operas performed each year, saw a general decrease in the proportion of ballets to operas in the late 1840s. The two ballets per opera decreased to one ballet, and this became the norm after 1850. The same shift in proportions can be observed at La Fenice where by 1850 sometimes there was only one ballet performed per opera. At the same time the number of operas per year increased. Roughly four to five operas were mounted each year, with three to six ballets. This proportional change meant that ballets played for longer, from thirty to over sixty performances, than the operas. Yet opera repertory was already forming, so not all of the operas were new. Una Furtiva Lagrima was composed by Gaetano Donizetti for the opera L’elisir d’Amore, which premiered on May 12, 1832. Western Europeans worked as family units and these families rarely exceeded six to ten members. Young children stayed at home and helped around the house. Usually teens leave their home to become servants for other families. Men and women married in their mid-twenties and they made sure they had a household of their own and started a family right away. In some cases the landlord made the serfs remarry after the death of their spouse because this was to enhance the position of the lord of the manor. Women were known as to how well they can bear children and their economic acumen. Young girls left the home to become paid servants in other households. Once these girls have made enough money they were arranged a marriage in which they were to bear children which were expected to become assets to the rural economy. Women and men both worked in the fields plowing, planting, and producing sufficient crops to pay taxes and rent. This usually only helped until the next growing season. For the minority of women who married to traders or artisans and who lived in towns or cities, the death of a husband meant that the widow would assume control of the business and even employ male apprentices. These women could acquire economic independence after the death of a spouse. In 1580s, and into nineteenth century, Russian merchants, soldiers, adventurers, and political prisoners moved across the Ural Mountains. Gradually changed Serbia which is the center source of mineral wealth and other natural resources. Russians had passed over 6,000 miles east of Moscow towards the fertile lands of Ukraine and headed towards the Pacific. Siberia was subjugated. Siberia was a central feature of the conversion of a landlocked regime centered around Moscow. It was a powerful absolutist state under the Romanov dynasty, which would rule Russia until 1917. Russia had become the largest territorial kingdom in 1700. Michael, the first Romanov tsar, caesar or emperor, was chosen by leading group of nobles in 1613. Before Michael was chosen, the nobles had chosen the sixteen year old grandnephew of Ivan the Terrible who had ruled Russia from 1533-1584. 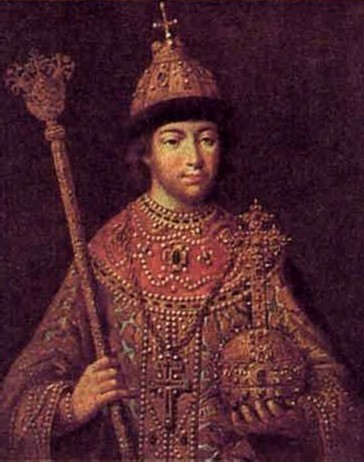 Tsar Michael reigned from 1613-1676, he ruled during the period after civil unrest, which was known as Time of Troubles, which followed Ivan’s death. Through the 1640s to 1670s Michael and his succesors consolidated their power despite the number of unsuccessful revolts. Contacts with the West increased during the late seventeenth century. When Peter I, or Peter “the Great,” ascended the throne the stage was set for a dynamic assertion of royal power and display. Cardinal Richelieu had died just five months before Louis XIII, which led to France having another child for a king, Louis XIV. Louis XIV was just five years old. In the regency government the new monarch’s minority was led by Cardinal Mazarin. Cardinal Mazarin (1602-1661) was an Italian-born who tried help with Richelieu’s state building campaign involving new taxes. From 1682-1789 was the time where the palace of Versailles was a powerful symbol of royal rule up until the French Revolution. Palaces like Versailles were built throughout Europe to show political power. On the ceilings in the Hall of Mirrors at Versailles, Louis chose to have paintings of events that had happened during his reign. In the paintings, Louis was shown as Roman Emperor and chose the sun as his emblem. He also wanted references of Apollo, the god of peace and arts and associated with the sun, and wanted to emphasize the sun as a lifegiver. In 1685 France became a confessional state. He did this by revoking the limited toleration that the Edict of Nantes which was granted to Huguenots in 1598. In 1650, Gallicanism gained an increased support. Under Louis XIV’s reign, France became premier political and military power during the second half of the seventeenth century. An interesting read about the Germans and the Americans/British during the trench warfare that occurred in France. It describes human decency, during a most important holiday for many countries: Christmas. I don’t wish to give away too much of the reading, but it does inspire hope that perhaps not all humans engulfed in the fires of war are purely maniacal and war-driven. This is just a little history byte about Franz Ferdinand, and the specifics of how he was assassinated, by whom, and how it all began. It quickly explains the terrorist group the “Black Hand” and how they were affiliated, and why they set out to assassinate Franz. Part of the success of the Ottoman Empire and its ability to be one of the longest lasting empires was its unparalleled leaders. After breaking its long succession of great leaders, the empire finally collapsed after the poor decision of its leadership to ally itself with Germany in WWI. The history of Europe in the latter half of the nineteenth century and the first decade of the twentieth is a sordid history of land grabbing and conflict among European states. The Ottoman Empire, nearing its death, was dragged into these conflicts and beaten into its grave. In 1911, Italy and France were in competition over Libya. Fearful that France might attack the Ottoman Empire and seize Libya, the Italians attacked first. They defeated the Ottomans and, through a peace treaty, obtained the Dodacanese Islands and Libya from the Ottomans. Seeing this as a good idea, the states of Greece, Serbia, Bulgaria, and Montenegro attacked the Ottomans, hoping to gain all of the Ottoman provinces in the north of Greece, Thrace, and the southern European coast of the Black Sea. They easily defeated the Ottomans and drove them back, almost to the very edge of Europe. The Second Balkan War erupted just two years later (1913), when Greece, Serbia, and Montenegro disapproved of the amount of territory that Bulgaria had annexed. Joined by the Ottomans, these three powers managed to roll back Bulgarian territorial gains. This was the last military victory in Ottoman history. It is a strange note in history that this last defeat and triumph for the Ottomans would precipitate a situation that would snowball into the First World War. Although this is a story for another day, the Ottoman territories that fell into European hands precipitated a crisis among European powers that would eventually lead directly World War I. As a result of this conflict and the Treaty of Versailles in 1919, the Ottomans lost all their territory in Syria, Palestine, Arabia, and Mesopotamia. The European powers fought each other in Africa and the Middle East by encouraging revolution among the peoples there. The British, for instance, promised Arabs independent states if they revolted against the Ottomans and aided the British. By 1919, the Ottoman Empire was reduced to Turkey only, which extended from the southern European shores of the Black Sea, to Asia Minor in the west, to Iran in the east, and Syria and Iraq, newly created states in 1919, in the south. Ottoman power had effectively come to an end. The Russians, torn apart by a revolution in 1917, never did annex Istanbul and the Dardanelles; the city is still under the control of Turkey. In 1922, Ottoman rule officially came to an end when Turkey was declared a republic. While the Ottomans were suffering from defeats in Europe, internally they were faced with revolution by liberal nationalists who wished to adopt Western style governments. These nationalists called themselves the “young Turks,” and in the early 1920’s, they began an open revolt against the Ottoman government. The goal of the revolution was to modernize and westernize Turkey, and the primary theoretician of that change was Mustafa Kemal,who is called in Turkish history, Ataturk, of “Father of the Turks.” As president of Turkey from 1922 to 1928, Ataturk introduced a series of legislative reforms that adopted European legal systems and civil codes and thus overthrew both the Shari’ah and the kanun . He legislated against the Arabic script and converted Turkish writing to the European Roman script. He legislated against the Arabic call to prayer and eliminated the caliphate and all the mystical Sufi orders of Islam. It is not an exaggeration to say that Ataturk is one of the most significant political figures in Islam, for he was the first to theorize and put into practice the secularization of the Islamic state and society. Nothing like it had ever happened in the whole of Islamic history, and, despite the radicality of Ataturks reforms, the Turkish republic has remained an independent and secular Islamic state. Efforts to emulate this secularization, however, have by and large been unsuccessful in other Islamic states. In 1760’s James Watts has built the first efficient steam engine. His early machines were used to help pump water out of coal mines. Since coal was one of the major sources of energy in that time, they smelted it with led to improve metallurgy, which resulted in construction of a better steam engine. These steam engines led to newer adaptations of heavy machinery. Water was replaced by coal and steam to drive textile machines. In 1820 the steam powered loom had taken over the British cotton industry. Spinning jennies were working more efficiently. Workers could operate more machines which resulted in larger production. Now that the steam engine was working effectively, new developments were being invented. George Stephenson invented a locomotive called “the Rocket”. It was said to haul three times it own weight on iron rails at a speed of 30 mph. That year, Manchester and Liverpool were connected by rail. Although it was designed to only carry coal and other heavy goods, it soon became a hit with passengers. It was known as the “iron horse”. Eventually, Britain, France, Belgium and the German states all had a network of railways. Thousands of miles of railroads had been constructed, and France even built systems as a part of their National Economic Development Policy. With demand of coal and steel, new employment opportunities have arisen, and with day excursions and vacation packages developed by the railway system companies, more people had the chance to travel, including the middle class. Robert Fulton experimented with a steam boat in New York City on the Hudson River. Now, people were introduced to new means of water travel with the steam ship, and crossings were made across the Atlantic Ocean to England. However later, new steam propelled ships had been created which reduced travel across the Atlantic from one month to two weeks! Thousands of people were migrating to America and establishing homes. This map shows the routes that were used during these times of immigration. Eventually, routes were to countries other than America. Comments Off on Steam Power! The Peace of Westphalia in 1648 was extremely important not only because it ended the 30 years war but because it changed the ideology of warfare after that point. Until the Peace of Westphalia most of the conflicts in the west were religion based. After the Peace of Westphalia that entirely changed.